For some occasional marijuana smokers, using the drug may not seem to have significant effect on them, but for others, even occasional use has shown to cause changes even after the high from the drug has worn off. 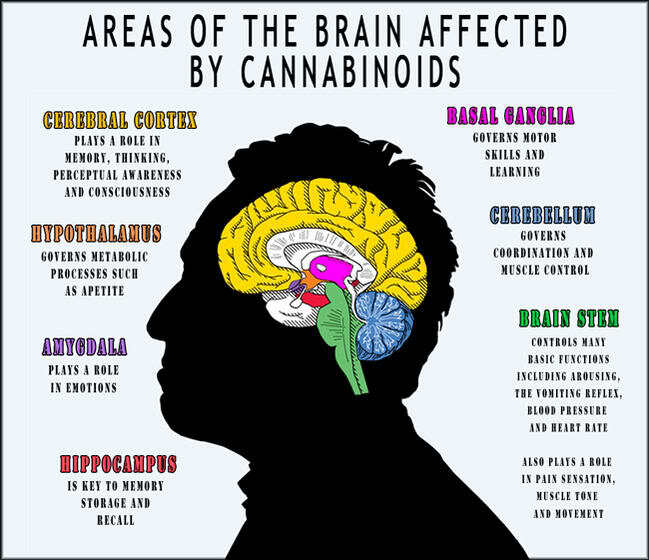 Many individuals who use it are not fully aware of the marijuana effects on the brain, and how it can affect them negatively. According to the National Institute on Drug Abuse, the THC in marijuana can disrupt parts of the brain that regulate balance, posture, coordination, and reaction time. Therefore, learning, doing complicated tasks, participating in athletics, and driving are also affected. Also, according to Brown University, marijuana use is associated with increased prevalence of depression, schizophrenia and psychosis. Other effects- according to the National Institute on Drug Abuse– may vary dramatically among different users, include heightened sensory perception, laughter, altered perception of time, and increased appetite. Many of these effects can bring on further complications, such as driving after ingesting marijuana can cause accidents, which can be fatal. Learning and retaining information can affect a person’s school or work performance. Difficulty in remembering certain details can also have a negative impact on how a user performs particular tasks. Marijuana can significantly harm the brain. Marijuana can cause different reactions on individual users of the drug. No two persons may experience the same effects. Some users may experience other effects not listed here, while some may have experienced many of the ones listed above. Like other drugs, it can depend on the person, the amount of marijuana used and the frequency. The strains of marijuana also may vary, and some strains can be more potent than others. If you or a loved one are using marijuana regularly and are worried about the marijuana effects on the brain mentioned above, or the changes it can have in general on the body, then becoming better informed about its long-term effects should be a priority. If dependence on marijuana has developed, and it has become difficult to quit using the drug, then seeking professional help may be the best decision to make. Contact a substance abuse specialist and ask about the resources available for those that would like to stop smoking marijuana, but find it hard to do. These are licensed specialist that can guide you or a loved one in the right direction to become drug free and learn to function without the need for marijuana.